Boston bombers Dzhokhar and Tamerlan Tsarnaev were planning more attacks across the city and were already building the bombs to do this, says the city’s police commissioner Edward Davis. Edward Davis says it’s his belief that 19-year-old Dzhokhar Tsarnaev and his 26-year-old brother Tamerlan “were going to attack other individuals”. He says that’s based on the evidence at the scene and the cache of weapons the brothers had at their disposal. 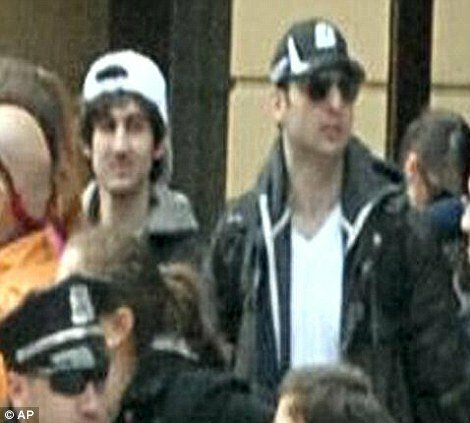 However, Edward Davis claims, releasing photos of the two Boston Marathon bombing suspects “forced them out of their hideou”’ and spurred them into Thursday and Friday’s deadly night time car chaos and gun battle with law enforcement. “It forced them out of their hideout and they decided to commit further violent acts. But it’s my belief that they were already manufacturing explosive devices. Further violent acts were inevitable,” Edward Davis told The Boston Globe. The suspects “were not making those explosives for nothing”, he told the newspaper. Handguns, a rifle and at least six bombs, three of which detonated were found at the scene on Friday after officers had their first showdown with Dzhokhar and Tamerlan Tsarnaev in Watertown, Massachusetts. And it is believed that federal prosecutors are putting the final touches together on charges against Dzhokhar Tsarnaev, despite his throat wound leaving him unable to speak.